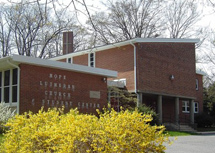 Hope Lutheran Church and Student Center is a community of growing disciples of Jesus Christ who love our neighbors, both near and far. We affirm that everyone is created in the image of God and is deserving of God’s love and grace. We recognize that for many people, “church” has not always felt like a welcoming place. We celebrate our human family’s diversity of sexual orientation, gender identity, race, ethnicity, culture, and age. We embrace differences in relationship status, physical and mental ability, education, income, worldview, and political affiliation. 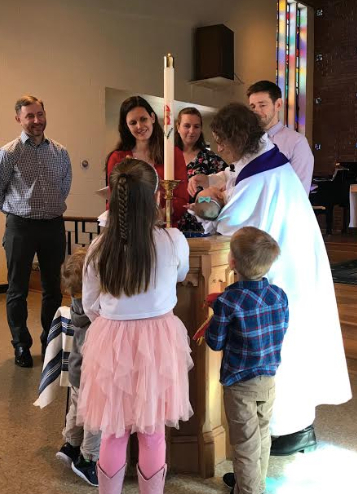 We are committed to the full inclusion of all people in our community and invite you to journey with us toward a deeper faith, mutual respect, greater love and understanding, and reconciliation through Jesus Christ. We invite you to read our full Welcoming Statement. New and returning University of Maryland students are invited to worship with us and to participate in the life of our congregation. Everyone is welcome to participate in the following events at Hope. Ongoing events appear above the list of individual events. Check the calendar (or click on a date on the calendar in the sidebar) for more details about our events, as well as other events in the community that may interest Hope members and friends. For the Moms in Community support group, see below (Fridays, April 5 - May 24). Sundays - Humble Walk Dinner and Worship - 5-7 pm. All students are welcome to participate. Friday, April 26 - Moms in Community - 11 am-1 pm. Pregnant? New mom? Breastfeeding? Drop in for free support and connection. Meet other parents and parents-to-be. Relax with tea, snacks, and conversation. A professional lactation consultant (IBCLC) will be present to answer any questions and offer additional support. Older siblings are welcome. Come once or come to all eight sessions. Fridays, through May 24. Saturday, April 27 - April Social Activity: Pontoon Boat Ride - 1-3 pm at the Bladensburg Waterfront Park. Meet at Hope at 12:30 pm to carpool. Sunday, May 5 - Children's Sunday School - 9 am. See below for more information. Friday, May 10 - Movies@Hope Presents "Beyond Silence" - 7:30 pm. Series favorite Professor Robin Bates introduces this Academy Award-nominated German film from 1996. This feature tells the story of the devoted daughter of hearing-impaired parents. As her hopes for a career in music take off, she finds herself torn between living out her dreams and staying true to her parents and their world. As always, admission and refreshments are FREE! Tuesday, May 21 - Hope Serves Lunch at the Prince George's County Day Center - 1:00 pm. Meet at Hope at 12:50 pm to carpool, or the Day Center at 1 pm. Mondays - AA Meeting - 7-8 pm. This is an open meeting and anyone is welcome. Fridays - AA Meeting - 8-9 pm. This is an open meeting and anyone is welcome. We want kids to know that God loves them. So we support kids and families growing in faith together. During the school year, we have Sunday School the first Sunday of each month at 9 am for children ages 2-10. Children hear a Bible story, sing songs, play games, do crafts, and have a snack. Families are welcome to stay and participate with their children. If you would like to learn more, or if you have older children who also want to be involved, contact Pastor Julie. Movies@Hope is a film series dedicated to enriching our community by presenting documentary and feature films that explore the environmental, social, moral, and spiritual issues that define our time. Join us for films that make you think! Check out the winter-spring 2019 movie schedule and take a look at the list of movies we have shown and discussed. Admission and refreshments are free; donations are accepted. All are welcome. 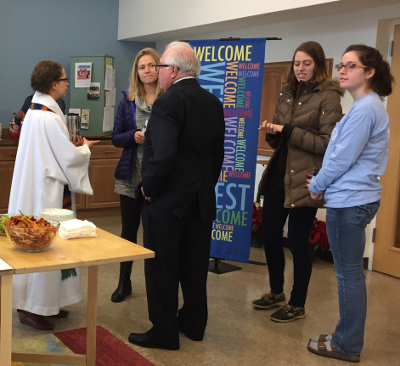 Hope members voted unanimously on November 19, 2017 that Hope become a Reconciling in Christ congregation and to adopt our new Welcoming Statement. We have been engaged in a lengthy self-study process as we considered the opportunity to become a Reconciling in Christ congregation. 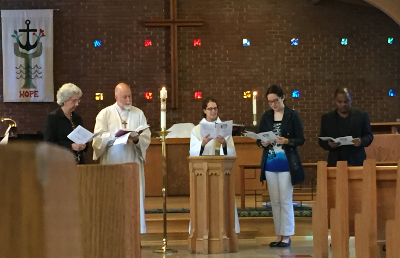 We publicly affirm that all people are welcome here, and welcome to be fully themselves. 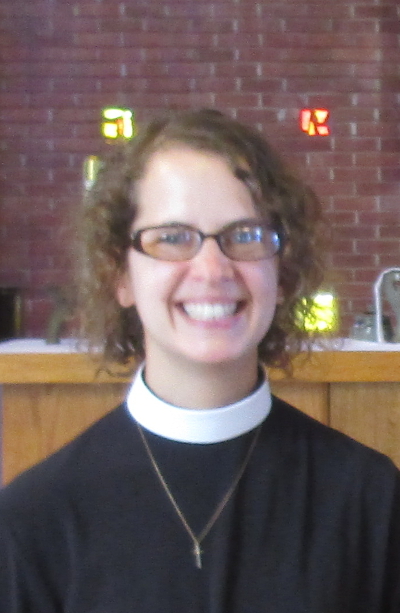 Learn about Pastor Julie Bringman, her previous experiences, and her ministry at Hope. 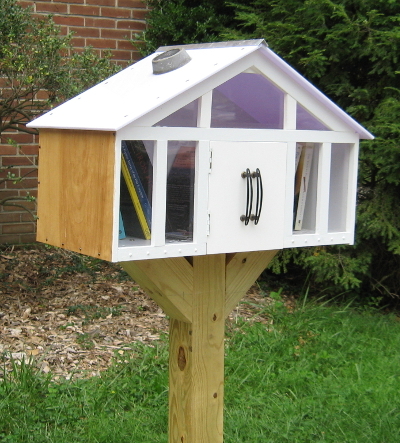 Check out our Little Free Library! Take a book - leave a book. Hope is on FacebookFind "Hope Lutheran Church and Student Center" on Facebook and then click to "like" us. Hope's 2008-2009 renovation project was funded with a loan from the ELCA Mission Investment Fund.